A genetically altered being made from the spliced genes of human and wolf, he is also a private detective. He gains information by examining and tasting people's hair. As a result from this, he has a hair fetish. Hiroshi can also transform into a more wolf-like form and can use special powers and attacks from whatever type or color of hair he eats. Just like Soumei he can transform into a wolf, him being red. 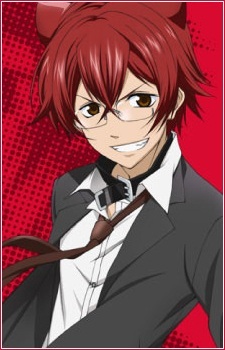 Formerly, he worked for the police but quit and formed his own detective agency after his younger brother, Haruka, left. His former partner is Kuniharu Ogino. He still continues to help him in cases, ones that involve the Valentino Family. It is stated and shown throughout the series that he has a brother complex towards his younger brother. He spoils Haruka because of his weak body and is often blind to his usual villainous aura. His biological father is Soumei.